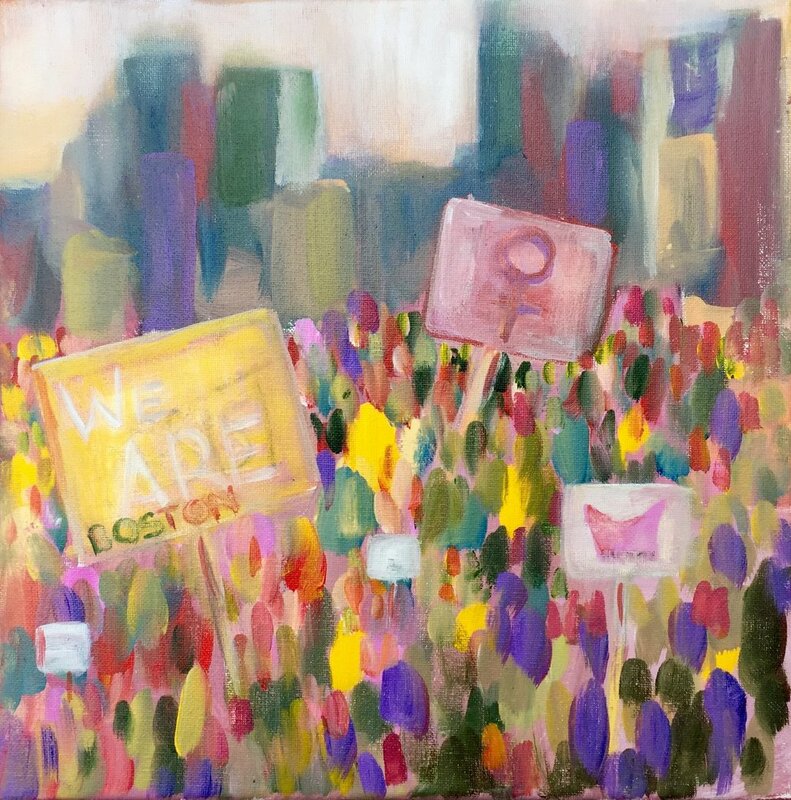 Inspired by the Women's March in Boston, MA on January 21, 2017. 6x12 inches, acrylic on canvas. 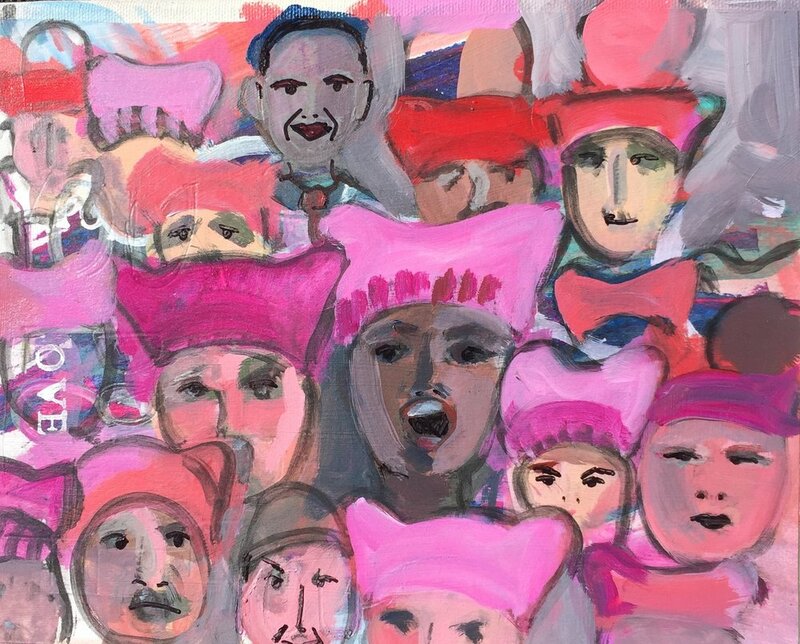 ($100 USD) All profits from the sale will go to the American Civil Liberties Union.